Robert E Lopez passed on February 4, 2019 surrounded by his loving family and friends. He was born on August 18, 1968 to Edward Bernard Lopez III and Barbara Faye Howard in Redbank, New Jersey. He graduated from Greenwich High School in 1986 and attended Pace University. Rob worked for Electrolux Corporation for several years before purchasing and running Sterling Vacuum in Norwalk for 25 years with his wife Karen. Rob was cherished for his loyalty and devotion to family and friends and his sense of humor and intelligence. Robert lived a life built on hard work, integrity, honesty, and a deep devotion to his faith as a Christian man. He could always be counted on to help a friend in need. Rob was a person of few words, but he was always to be listened to for the best punchlines or reciting movie quotes that perfectly fit the moment. He was a patriot who loved his country and was proud to have lived the American Dream, becoming an entrepreneur and running his own business for many years. Robert is survived by his ex-wife Karen Trusty and their beloved children; Andrew and Valerie, his brother Edward Bernard Lopez IV, his sister Laura Lee Ashby and many loving nieces and nephews. 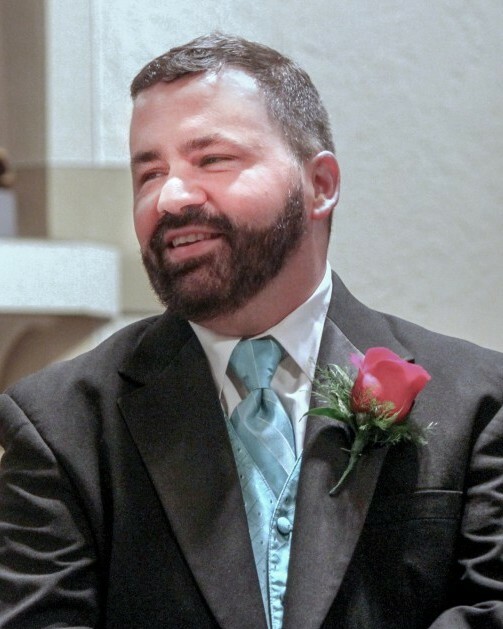 A memorial service for Robert will be held on Saturday, April 13th at 1 pm at St.Catherine’s Chapel, 4 Riverside Ave, Riverside, CT. A gathering of family and friends will be held on Friday, April 12 from 5 to 8 pm at CODY-WHITE FUNERAL HOME, 107 N. Broad St., Milford, CT. In lieu of Flowers, donations may be made in Robert’s name to Scouts BSA, Greenwich Council www.greenwichscouting.org or Connecticut Yankee Council, www.ctyankee.org.